The glorious weather we had this past weekend here in Seattle was a blessed taste of springtime. Crocus are popping up, daffodils are in full bloom, and I spotted tadpoles in the creek near our house - all sure signs that spring is on the horizon. Though I have yet to pack up the slow cooker and put away the recipes for winter's warm and comforting meals, this beautiful bout of spring has me aching for dishes with freshness, color, and texture. Tender lettuces, snappy snap peas, crisp radishes, and fragrant herbs. We may still be donning our winter coats, but the following recipes are sure to transport you into spring. Peter Rabbit himself couldn't have put together a more festive salad; it's a veritable garden on a plate! 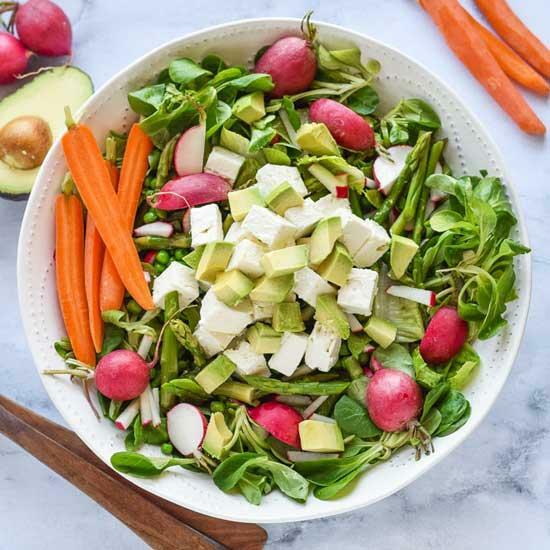 A duo of lettuces makes a verdant bed for fresh asparagus, crispy carrots and radishes, tender peas, creamy avocado, and briny feta. A simple lemon mustard vinaigrette with a pinch of dill is the perfect dressing. 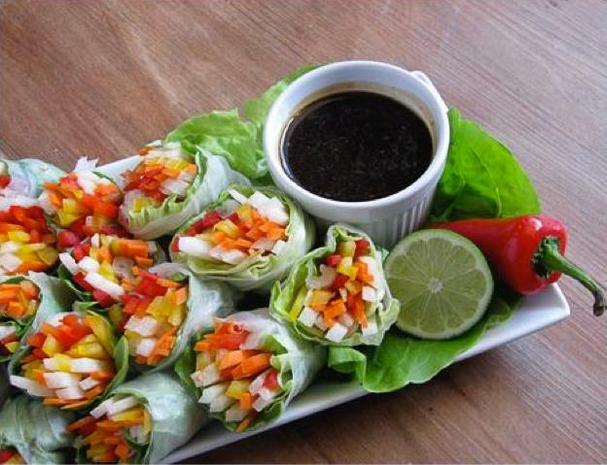 Colorful red and yellow peppers, carrots, apple-like jicama, Thai basil, and lettuce are wrapped up in rice paper for a delightful hand-held meal that is simply delicious dipped in a spicy sweet sauce. Chimichurri, an herbaceous vinaigrette that's bright and bold in flavor, is spectacular spooned over thinly sliced still-pink steak. 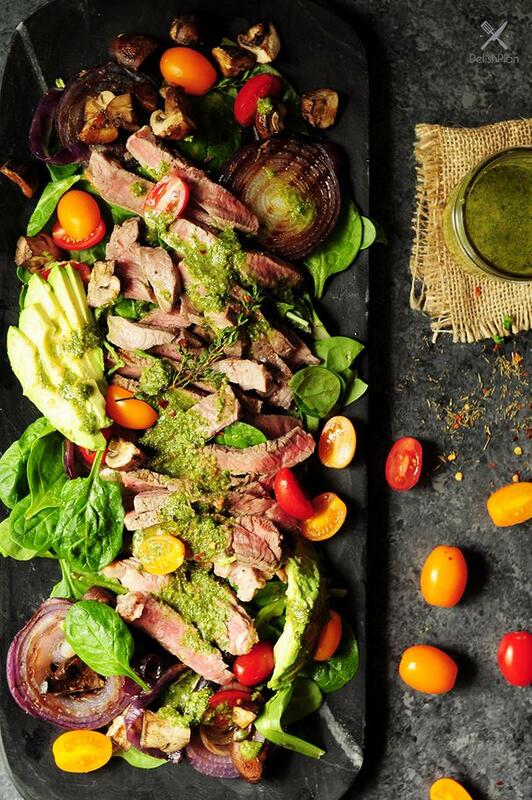 Assemble the sliced meat over a bed of greens, drizzle with the chimichurri, and top with fresh and grilled vegetables. 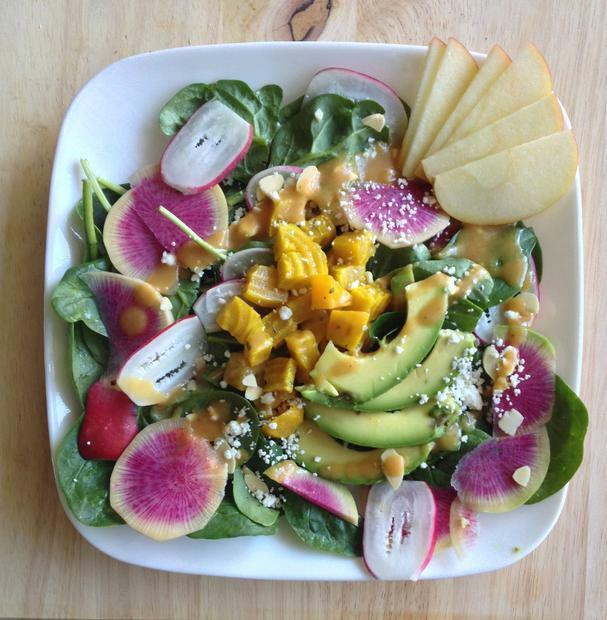 Radishes, beets, avocados, and apples sing a colorful song in this lovely springtime salad. 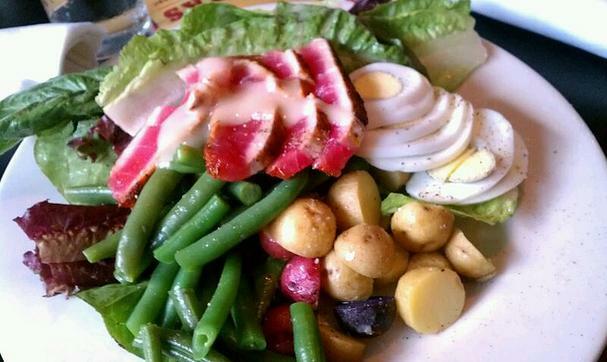 A classic Nicoise salad is one of my go-to salads just about any time of year. You can make a great Nicoise with freshly grilled tuna or keep it simple with canned tuna. New potatoes, hard-boiled eggs, tomatoes, green beans, olives, capers, and tuna, are dressed in a fresh herb and Dinon vinaigrette, then nestled together in lettuce cups. This easy peasy pasta dish is perfect for busy weeknights. 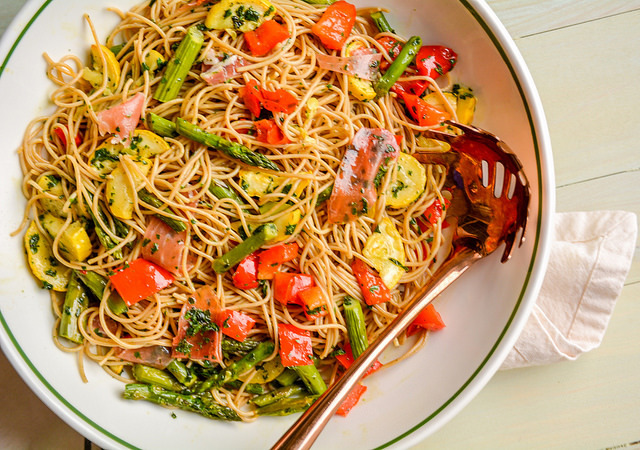 Throw some asparagus, bell pepper, and zucchini in the oven to roast, toss with whole wheat spaghetti (or a gluten-free variety) and salty prosciutto, then dress with an easy-to-make basil vinaigrette. It's delicious enjoyed warm or chilled. This comforting dish bridges the coldness of winter with the brightness of spring. 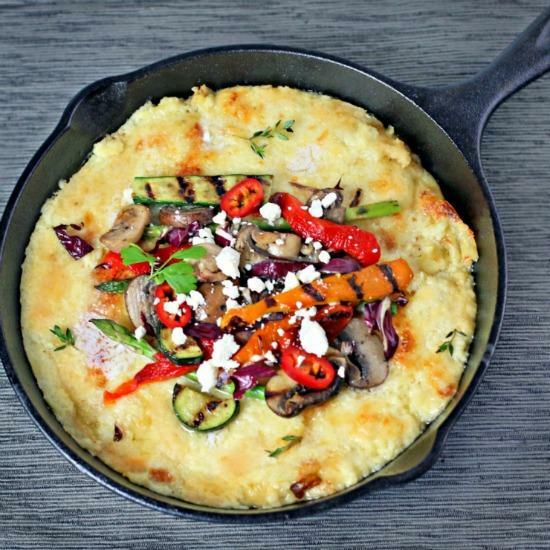 Creamy cheddar quick-cooking grits are topped with a bevy of colorful roasted vegetables for a healthy and hearty one-dish meal. Winter and spring come together yet again in this fresh and flavorful salad. 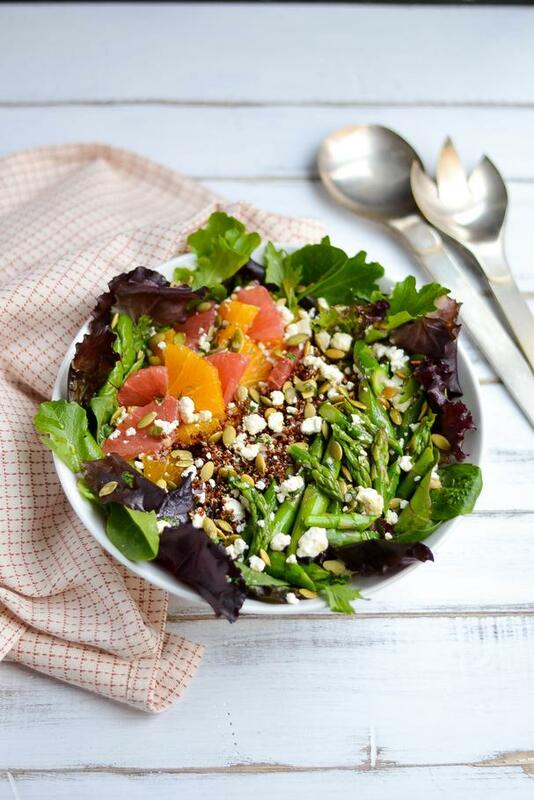 Oranges and grapefruit pair beautifully with fresh asparagus, especially when combined with cooked quinoa, crumbled feta cheese, and toasted pepitas. This nutritious and delicious salad is dressed with a little juice from the citrus, shallots, mint olive oil and a bit of salt and pepper. Simple and satisfying! 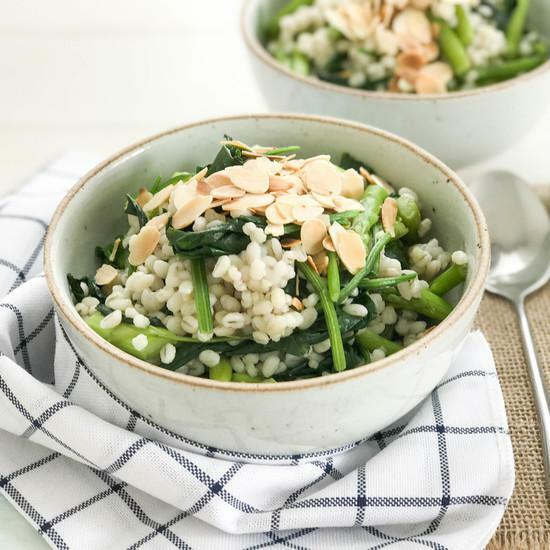 This dish is a simple and delicious stir-fry of asparagus, spinach, and cooked barley seasoned with garlic, toasted almonds, and salt and pepper. If you can't tolerate barley, use your favorite gluten-free substitute such as sorghum, quinoa, or brown rice. Roasting carrots makes them even sweeter, which is why we call them "Nature's Candy" in our home. 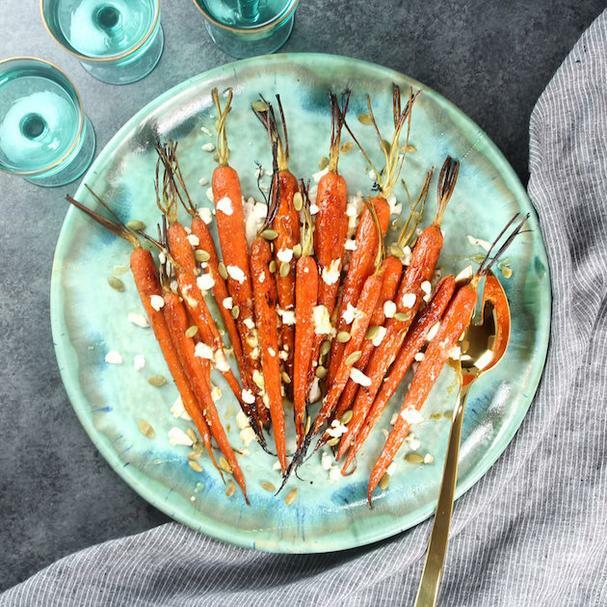 Before roasting, carrots are tossed in a combination of apple cider vinegar, honey, cayenne pepper, olive oil and a bit of salt and pepper which enhances and rounds out the natural flavors of the carrots. It gets even better - the carrots are topped with goat cheese, a drizzle of honey, and roasted pepitas. Sounds divine, doesn't it?